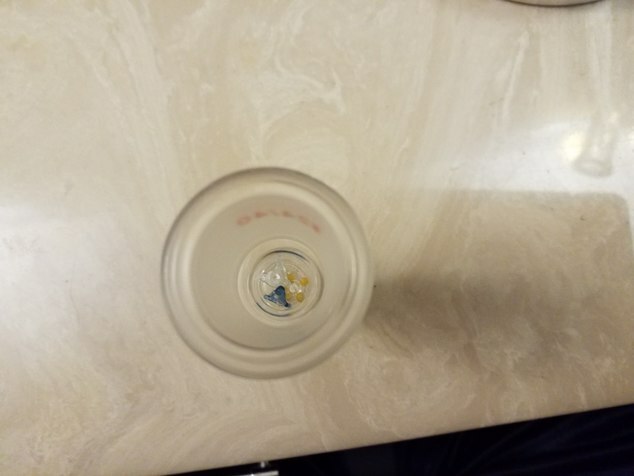 I actually had some a thicker one that was almost the width of the stem that did a really great job, but my buddy dumped it and I can't find it for the life of me. 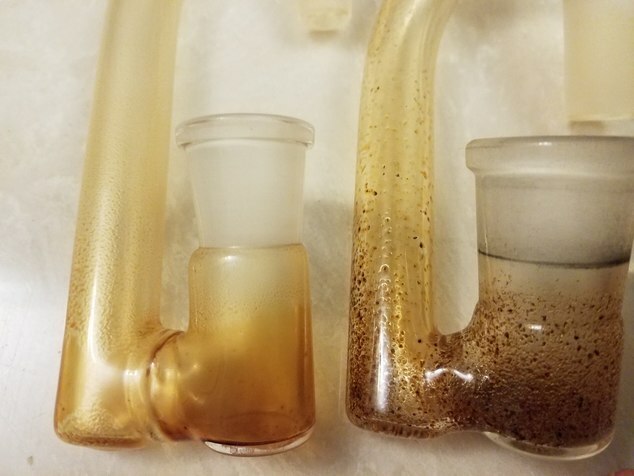 Next up are some drop downs, the firs one (on the left) I use exclusively with the GS (either 2 screens or the glass mesh with glass screens) the other two are about as dirty as I will allow my glass to get, but notice the difference in how amber/yellow/clean the GS glass is and I use it the most for eucalyptus flower. 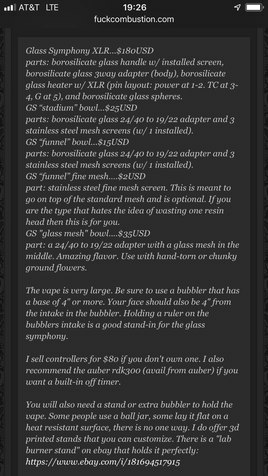 Hey guys extremely interested in the glass Symphony my question though is who do I need to contact to purchase one of these, is this still the contact information I need to be using symphonydotvaporatgmaildotcom ? Thanks guys! That seems to be the same Email I see listed. You could always send a message here to @GS jojo as it's the same person. 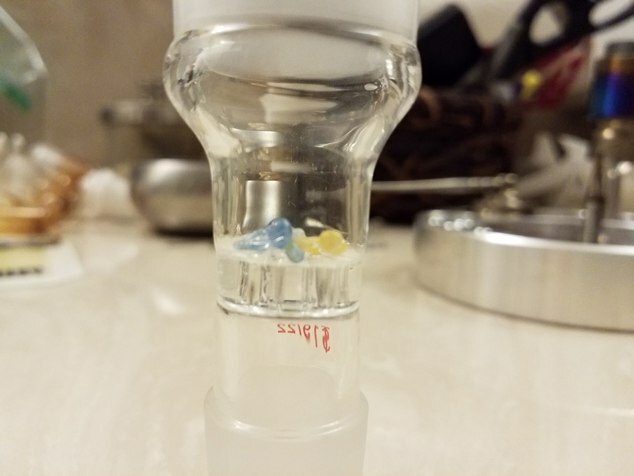 It is neat to see the pics comparing the buildup. 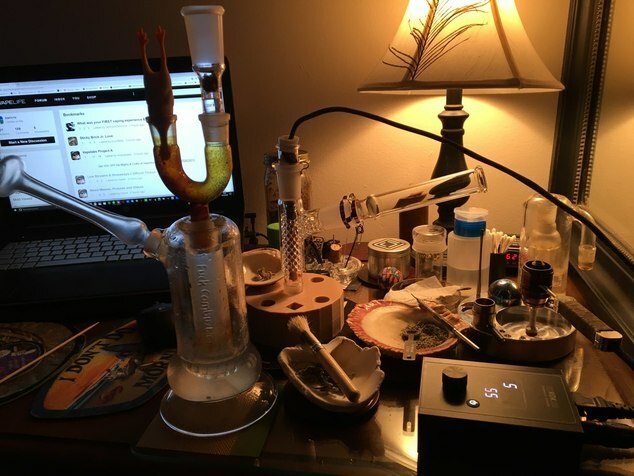 Yeah man, it's beautiful...the only thing cleaner is the concentrate only drop-down. 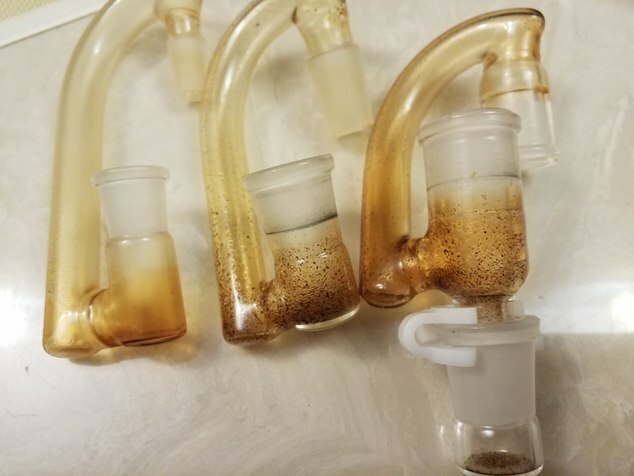 The funnel bowl is my favorite :) and I've let it get to where the reclaim actually rolls down and drips into the drop-down. Crazy production, more than the Sub and the FP, with my setup and payload anyway. 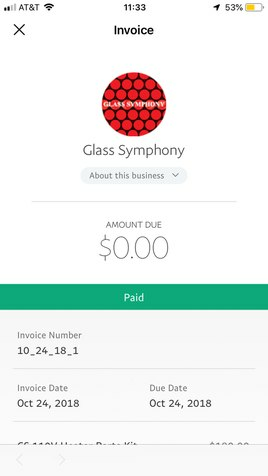 How much cash for one of these glass symphonys? can't wait for everything arriving on Saturday or Monday??? This guy needs a website. He not got one no? Very nice, you could likely fog the entire room with that. I can't wait to see more. Tuned. I also can't wait and you need to explain the chicken. Thanks for buying a GS. 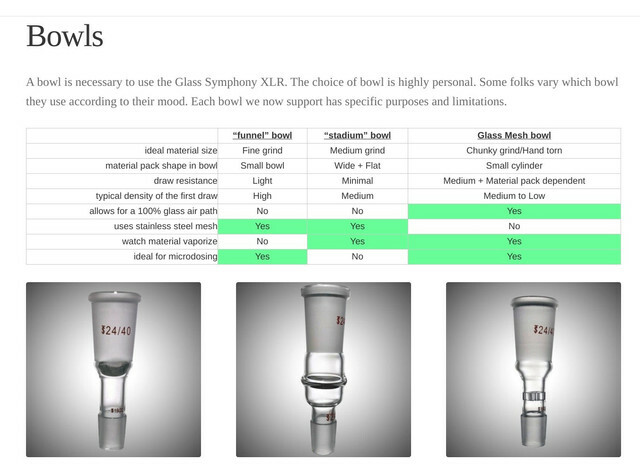 Here is an image that I hope shows what's what between the bowls at a glance. which one is the stroner hitter,which one is more harsh,also tasty? I do love the GS. I know they all vary but I've recently dropped down from 850 to 820 on mine. Hardest hitting vape for flower ? I did the same thing on my Version 1 of the GS. Mine has the old heater and 820F is perfect! Hits pretty damn hard, have to agree! I have found the same to be true with my GS. I load the bowl, meditate for a second and empty my lungs and then hit it like a maniac! Instant whitewall, great flavor, dense cloud and knock out effects...LOL! It's a heavy weight for sure! 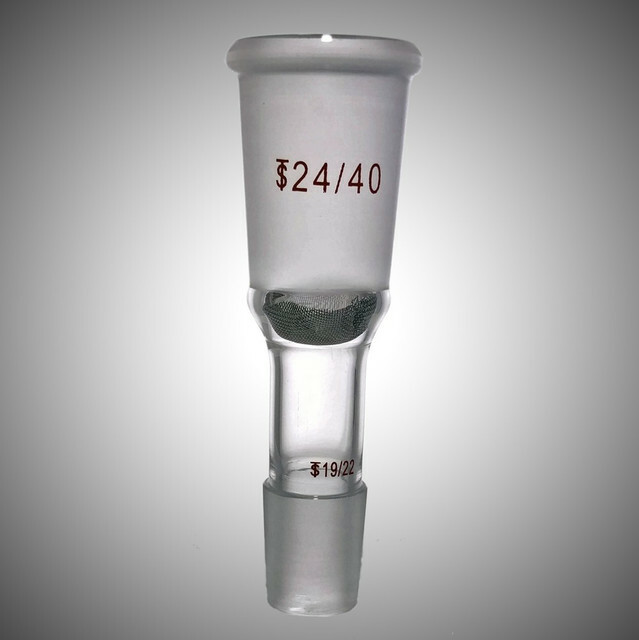 Any news on the 22 to 14 bowls ? 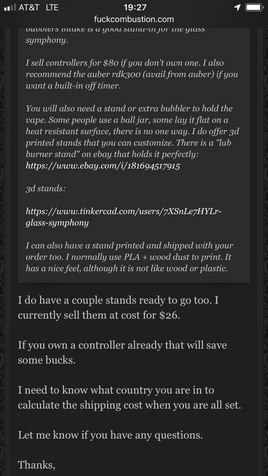 Itching to order one and some more of the extra fine screens. Not something I've tried but I have good lung power. I’m still at full lung power... but I like my ABV darker jajajaja aka I like heavy hitting clouds... close to dark brown toffee/coffee grains color.